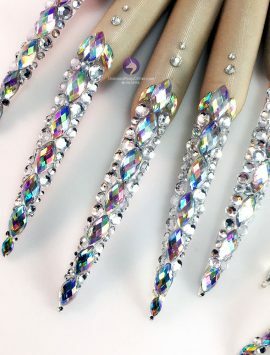 White and feminine false nails detailed with golden scrolls, filigree, and a sparkly 3D bow. 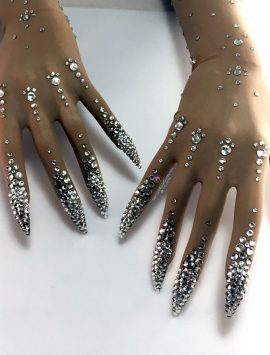 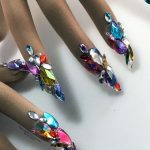 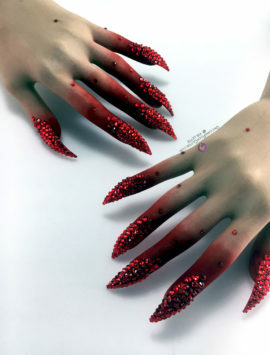 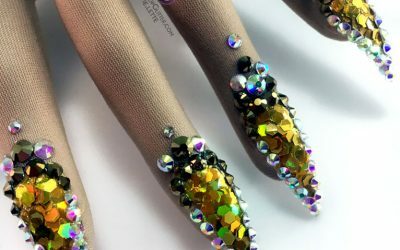 Dripping with rhinestones and bling, these nails are sure to please anyone with a love for shiny things! 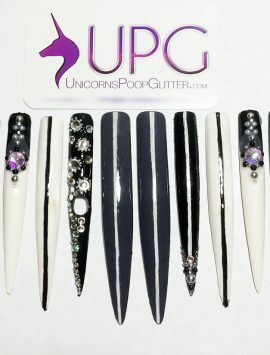 Features White High Gloss Polish with Golden Filigree Bow, Embellishments and Rhinestones. 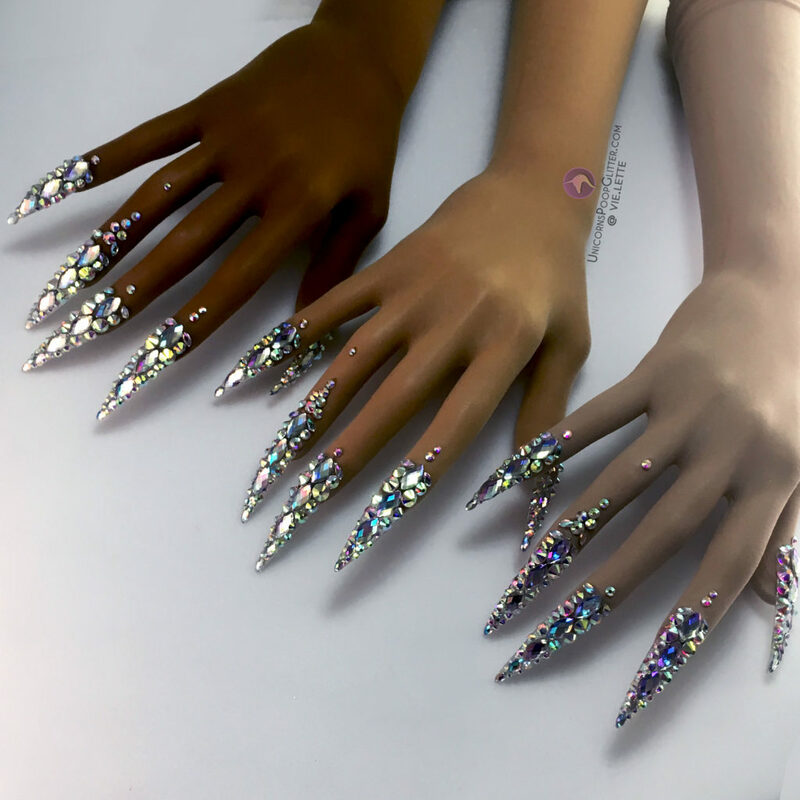 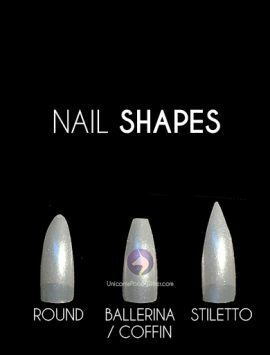 Shown here with Stiletto shape and Princess length – Perfect for photo shoots, events, or when you just want your nails to be the center of attention. 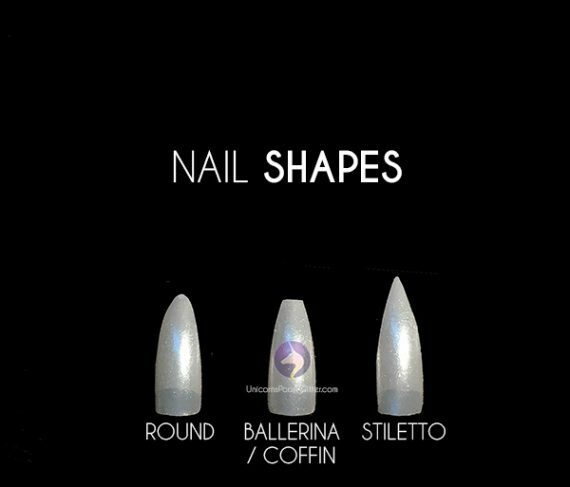 OTHER SHAPES AND LENGTHS AVAILABLE. 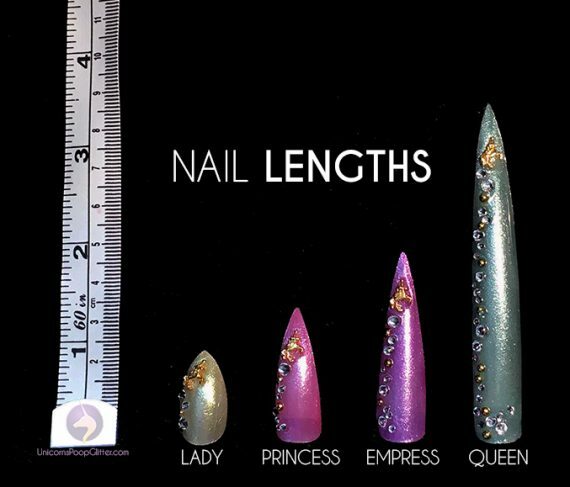 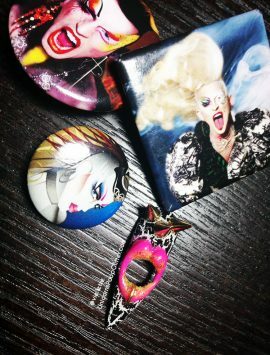 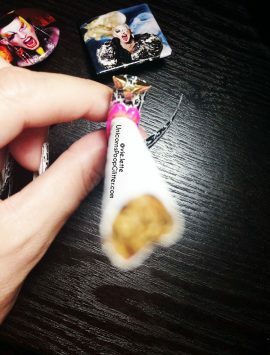 Each nail is hand crafted and hand painted to order, which means you’re getting unique, one-of-a-kind pieces of art every time! 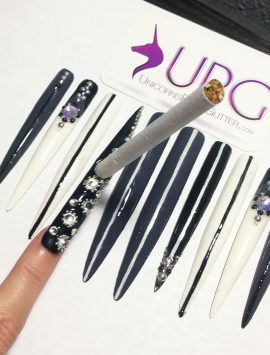 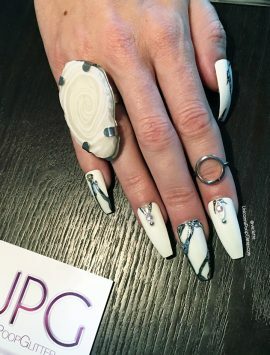 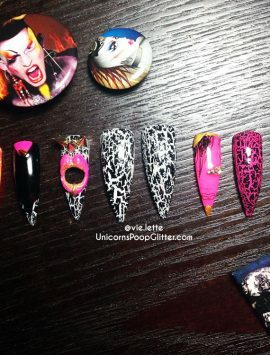 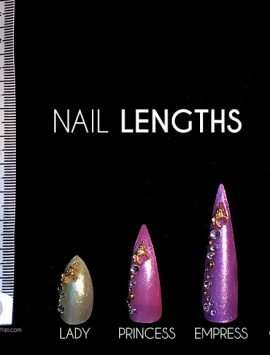 The nails shown in the photos represent what I can do and should be treated as suggestions. 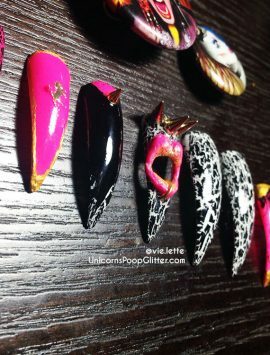 Please don’t hesitate to let me know how you want your nails custom designed for YOUR style! 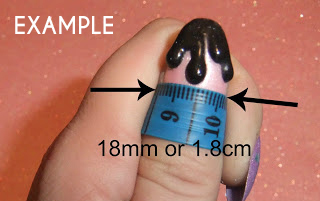 All you need is any sort of nail adhesive* (found at your local drugstore and beauty supply) or you can use double-sided nail tip tape/sticky tabs* for a quick solution (also available at your local beauty supply). 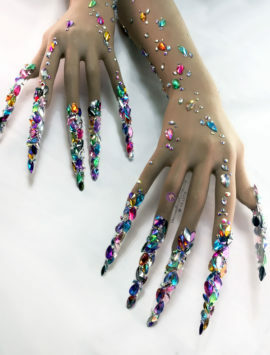 *Adhesive/tape not included. Custom Sizes: If you don’t fit into the above presets, no problem! Choose “Custom Sizes” and email me your unique measurements.